Diana Moore and Andrea Schwenke. New Brunswick Schools: A Guide to Archival Sources. Frederiction: Acadiensis Press, 1992. Purdy, Judson. 1994. “Diana Moore and Andrea Schwenke. New Brunswick Schools: A Guide to Archival Sources. Frederiction: Acadiensis Press, 1992.”. 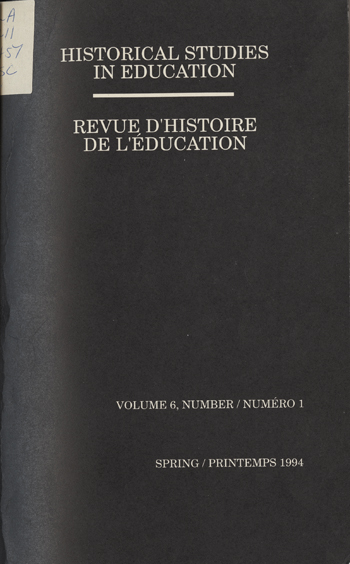 Historical Studies in Education / Revue D’histoire De L’éducation 6 (1), 106-8. https://historicalstudiesineducation.ca/index.php/edu_hse-rhe/article/view/1155.